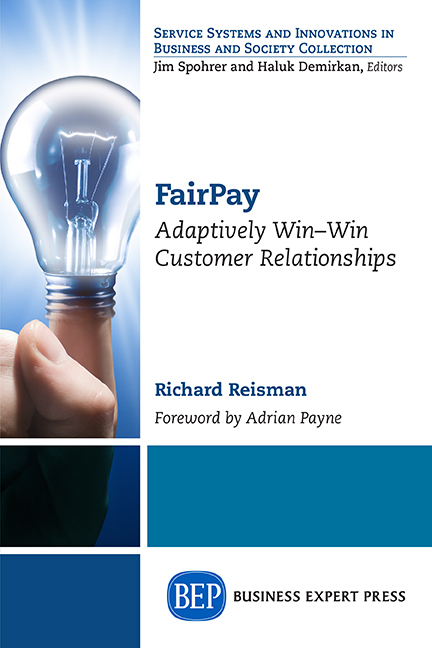 My Forthcoming Book on "FairPay: Adaptively Win-Win Customer Relationships"
Enterprises everywhere are recognizing the need to be more customer focused, but struggle to see how. 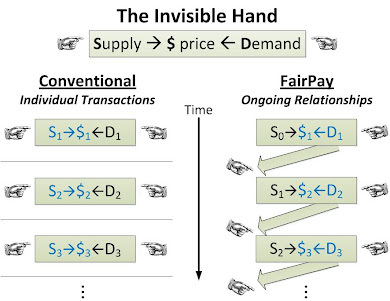 This new book explains a revolutionary approach to pricing – FairPay -- that can change the game. 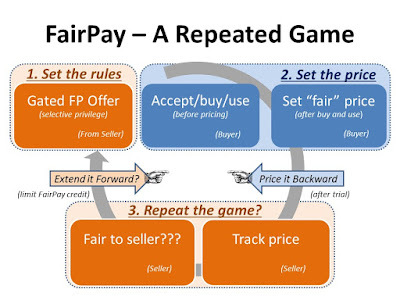 FairPay is a new logic for conducting ongoing business relationships that adaptively seek win-win value propositions in which price reflects value. I am very pleased to report that this book is in production, to be published later this year. It will be part of a series on Service Systems and Innovations in Business and Society, curated by Jim Spohrer and Haluk Demirkan of The International Society of Service Innovation Professionals (ISSIP), and published by Business Expert Press (BEP). Jim saw the potential of FairPay, and how well it is aligned with the service-related innovations he and his colleagues at IBM and ISSIP are championing. He asked that I write this book, drawing on the material in my blog. I look forward to seeing it published in the coming months. I hope readers (both early followers and those new to these strategies) will find this not only a useful introduction to FairPay, but also a thought-provoking perspective on the broader issues of modern consumer commerce and how to make it far more win-win. I will be providing updates about the book on this blog as it approaches publication. Current details on the book are now online (also accessible as FairPayBook.com), and updates on availability will be provided there.